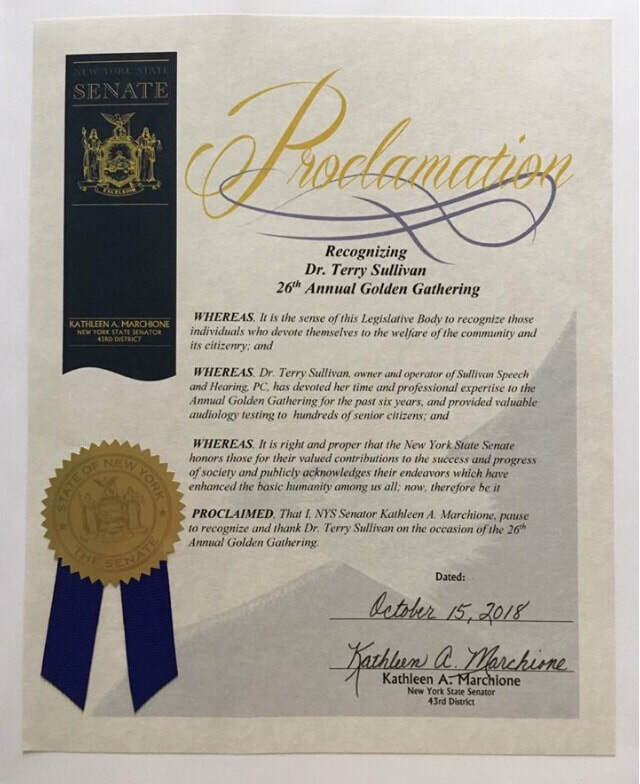 Dr.Terry Sullivan earned her BA and MA degrees in communication disorders at Queens College (speech-language pathology); her post-graduate degree in audiology at Lehman College in the Bronx and her Doctor of Audiology (2000) at the University of Florida in Gainesville. She owns and operates Sullivan Speech and Hearing, PC. With 40+ years of clinical, management, supervisory and administrative experience in healthcare as an ASHA certified Speech-Language Pathologist and Audiologist she has served pediatric through geriatric populations, as well as having 16 years experience as a college professor teaching graduate and undergraduate courses at the City University of New York. Dr. Terry presently consults at Camphill Village in Copake and currently works as a Speech Pathologist at Fairview Hospital, serving children through adults in both Acute Care and Out Patient Rehab Departments. 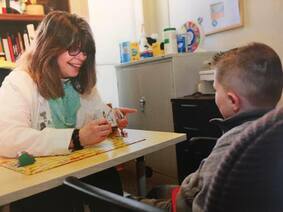 She is licensed in both Speech-Language Pathology and Audiology in New York, Connecticut and Massachusetts. In 2010, she was elected to represent New York State on the Advisory Council of the American Speech and Hearing Association, where she served as an "elected lobbyist" in DC. Currently she is a member of the School Board at Taconic Hills, The Copake Park Commission and the Copake Ethics Board. Terry grew up in the Bronx and lived in Westchester before moving to Copake fulltime in 2002. A licensed Zumba instructor coming up on 8 years at the Town Park, she has raised thousands for Copake Town Park. Terry has organized and participated in numerous community events which have raised thousands of dollars for local organizations and groups including Copake Town Park, Susan G. Komen Breast Cancer Fund, Copake 4-H Club, Salvation Army Toy Drive, Columbia-Greene Humane Society, Fundraiser for Hope and the ALS Ice Bucket Challenge, and Make A Wish Foundation, to name a few, along with other community activities. As a performer with the Earth Angels, she has helped raise money for the Dollars for Scholars program at the Taconic Hills Central School District, and has provided free hearing screenings for six years at the Golden Gathering, a community-based health, wellness and quality of life event for senior citizens at Columbia-Greene Community College. She is most proud of her recent "Proclamation" issued by State Senator Kathy Marchione.